Here is yet another example of ingenious creativity using regular home products. 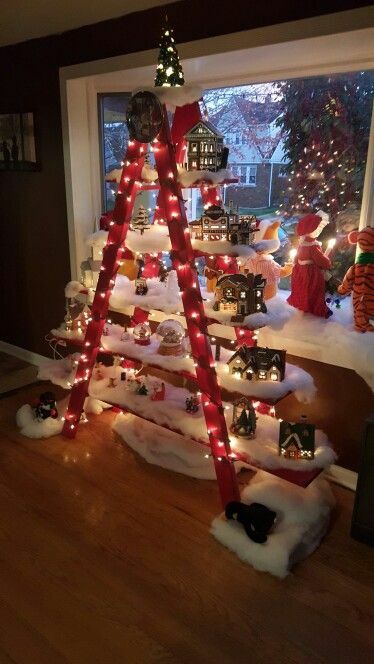 Grab a ladder, some wood, and a ton of sparkly lights and fake snow, and decorate to your heart’s content. You can even make it hold the presents like a traditional Christmas tree, but it will not take up as much space and will still look fantastically festive.